1st May - 20th June, 2010,NEST, The Hague, The Netherlands. 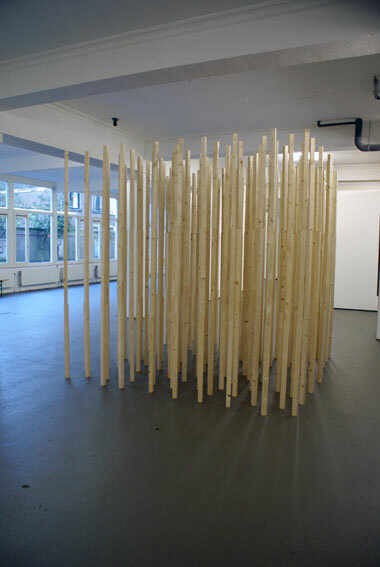 Installation created as part pf the group exhibiton Appetite for Destrucrtion. 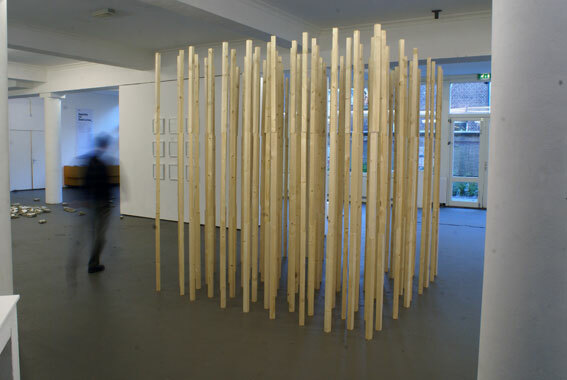 The installation consisted of approximately 270 lengths of wood, stacked end on end in groups of three. 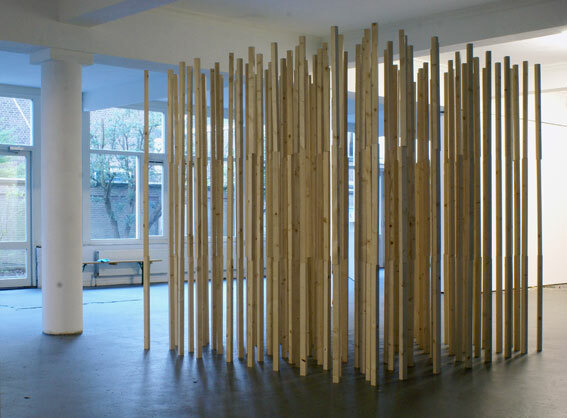 The sticks were positioned close enough to each other so that if one set of three sticks shifted or were touched, a chain reaction would begin whereby the majority of sticks would collapse.